From New York Times bestselling author Catherine Coulter comes the heart-stopping twenty-first installment in the electrifying FBI Thriller series. After Agent Dillon Savich stops a crazy man from harming a pregnant woman, the man unexpectedly falls into a coma. Doctors discover a drug in his blood they can't identify, and his only identification is a yellow wristband marked E 2. Did this John Doe escape from a mental hospital? And why was he at the pregnant woman's house? When her newborn baby is kidnapped from the hospital, Savich realizes there's a connection between the kidnapping and the unconscious John Doe. DNA tests uncover a startling fact: his cells are unlike any other—he's an Enigma. Savich, Sherlock, and an FBI team of experts must find the kidnapped baby, uncover the link, and determine what bizarre drug was used on John Doe and, most importantly, why. Meanwhile, Liam Hennessey, aka Manta Ray, a convicted bank robber, escapes from the Federal Marshals on his transport to a federal penitentiary. He and his "handlers" are seen going into the Daniel Boone National Forest. Savich sends Agents Cam Wittier and Jack Cabot after them. Why break out this violent criminal? Or did the safe deposit box he stole and hid before he was captured contain something critically dangerous to somone? Wittier and Cabot are in hot pursuit. What they discover turns the case sideways. 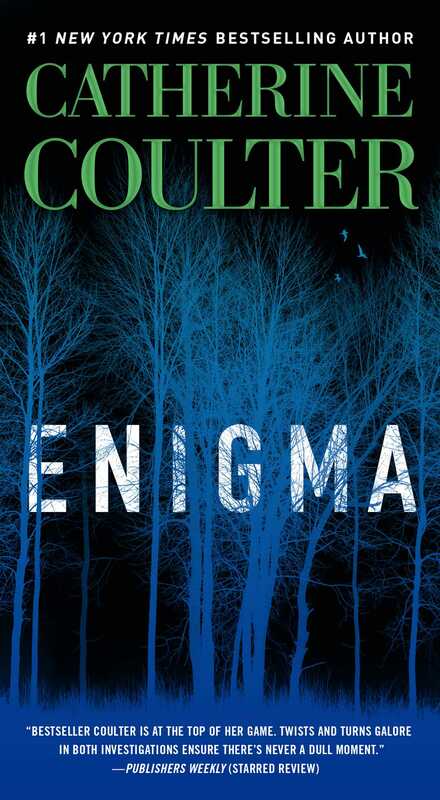 Coulter's latest dual-plot thriller will keep you guessing as Savich, Sherlock, Cabot, and Wittier uncover surprise after surprise in this race against the clock until the shocking conclusions. “No, no, he didn’t. He’s a young man, Dillon, unkempt, baggy clothes, and he had a long package under his arm. I thought it could be some sort of gun.” He wanted to tell her that was unlikely, but he’d known Dr. Janice Hudson all his life; she’d been a close friend of his grandmother’s. She’d also been a psychiatrist for more than forty years, and he could only imagine what she’d seen in that time. He’d trusted her instincts enough to drop everything and run over when she’d called him. Savich turned to see a police car pull up, a Crown Vic behind it. Two officers piled out of the squad car, and behind them Detective Aldo Mayer, a man other cops called Fireplug behind his back, hauled himself out of the Crown Vic, looking harassed. Savich could let Mayer deal with this. Mayer had experience, and he’d clearly been close when the call came in. Savich saw him wave to the two officers and motion them over. He pushed the barrel of an AR-15 assault rifle out from between the drapes and fired. The cops scrambled for cover as bullets struck the side of the Crown Vic and the patrol car. There was silence again, except for the sirens in the distance. Savich heard tears bubbling in his shattered voice. And a deep well of madness, and fear. He fired off another half-dozen rounds through the small space between the tightly pulled drapes. A front tire on the lead patrol car burst, and bullets shattered the passenger-side window of the Crown Vic, sending Detective Mayer to his belly. They couldn’t return fire, they had no idea where Kara Moody was. As she spoke to him, Savich texted Metro detective Ben Raven. Urgent. Come to 2782 Prospect Street. Hostage situation. Mayer here. Bail me out. Savich climbed over Dr. Janice’s fence and dropped onto Kara Moody’s side yard. There were only three high windows on the near side of the house, no chance the man would see him. Savich pushed through a planting of red petunias and white impatiens, cut through a huge star jasmine that covered a root cellar door at the back of the house. Dr. Janice had lived next door for fifty years and knew the original owners had dug out the space to use as a bomb shelter, something from another age. He moved the jasmine away, saw the moldy wooden door Dr. Janice had described to him. It wasn’t locked. The rusted handle creaked and groaned as he pulled it open and looked down at rotted wooden stairs that disappeared into blackness. He pulled out his cell phone to use as a light, and carefully stepped down the stairs until he felt the rotted wood begin to give way, and jumped, knees bent, to the dirt floor. He felt a rat carcass crunch beneath his boot, breathed in stale, nasty air, cooler than outside, and nearly coughed, but managed to hold it in. He doubted anyone had been in this shelter since the Nixon administration. His cell light haloed spiderwebs draped from open beams, crisscrossing the space, and more rodent carcasses littered the dirt floor. Jars were lined up on warped wooden shelves, covered with mold, dirt, and spiderwebs. Straight ahead another set of sagging wooden stairs led up to a door. Dr. Janice had told him it opened into a closet in the second bedroom, the baby’s room. He thanked heaven for small favors when the stairs held his weight. He tried the narrow door at the top. It was locked. He grabbed the wooden rail to steady himself, reared back, and slammed his shoulder against the lock. It held. He reared back again and this time he kicked it, nearly lost his balance, and felt his heart do a mad flip. The door popped open. He prayed the man hadn’t heard him. He shoved the door slowly outward, pushing aside cardboard boxes stacked against it, until he had enough of a path to pass. He eased the outer closet door open slowly and looked into a room painted a light blue. A bright mobile with the name Alex hung over a crib, and next to the crib was a rocking chair with a blue throw and a dresser painted with Walt Disney characters. Everything was ready for the baby’s arrival. Savich heard Kara Moody’s voice, soft and low, but he couldn’t make out what she was saying. She sounded controlled, trying to keep him calm. He prayed she could hold herself together a bit longer. It might help keep the man from shooting her . . . and then possibly himself. Savich held his Glock at his side and walked as quietly as he could through the updated kitchen toward an arched opening to the dining room. The L-shaped living room was beyond it, and he saw Kara Moody first, her ankles and wrists duct-taped to a chair, her long straight dark hair straggling around her face. A burgundy Redskins T-shirt covered her big belly and her loose white cotton pants. Her narrow feet were bare. She was in her midtwenties, and pretty. Her eyes were fastened on her feet, trying to avoid the man’s eyes, and his attention. Savich moved forward, saw the man standing by the window in profile, the assault rifle held loosely at his side. Savich wondered where he’d gotten hold of that killing machine. He was swaying back and forth. Was it from stress or drugs? Probably both. He’d sounded young, but still, Savich was surprised to see he was no older than twenty-five, slight, maybe one forty, and no taller than five foot nine. There was a light beard scruff on his narrow face. He might have been good-looking if rage and fear weren’t contorting his face. He wore a wrinkled shirt over baggy chinos that looked like he’d lived in them since he’d escaped from wherever he’d been held, from the people who’d probably been trying to take care of him. Were they the gods he was running from, the gods he believed had found him so quickly and sent the police to bring him back? Savich flattened himself behind the dining room wall, next to the arched opening, and calmed his breathing. He heard Detective Mayer’s voice on the bullhorn trying to reason with a man who had no tether to reason, offering to provide him whatever he wanted if he didn’t harm Ms. Moody. The man screamed, “You’re a liar! I don’t believe you, not a word! I won’t let you take me, or take her. Do you hear me?” He let out a high, mad laugh. “I will not let you win!” He screamed the words again, wailed them. Then he stopped, turned to face Kara Moody, and whispered, “I don’t know what to do. I’ve got to figure this out. I want what’s best for you, I do, only not how you’d think. But maybe it doesn’t matter now. “Baltimore,” he repeated, as if trying to make sense of it. He reared back and screamed at her, spittle flying, “I’m an enigma. He keeps telling me that’s what I am, that is what we are. I can’t let them take me, can’t let them take you! It’s evil, a monstrous evil!” He shoved himself back away from her. Savich fired, hit the gun, and sent it flying out of the man’s hands, skidding across the oak floor to fetch up against a chair leg. The young man howled and lunged toward Kara, his hands outstretched. Savich fired again, striking him high in the shoulder. He flinched, but it didn’t stop him. His hands were reaching toward her big belly. Savich took careful aim and fired just as Kara lurched back in the chair and it toppled over. The bullet blew a cloud of blood from the man’s head, and he jerked backward at the impact. But it had only grazed him, and he whirled around again to face Savich. He looked confused, like a child being disciplined for something he didn’t understand. He licked dry lips, whispered, “I don’t understand. You’re not a god. They don’t want me dead. Who are you?” He grabbed his shoulder when his brain finally recognized his pain, and he staggered, tears streaming down his face. He slammed his other hand to his head, and brought it down again, stared at the blood seaming between his fingers. He made a small mewling sound, his eyes rolled back in his head, and he fell on his side to the floor. He was out. It was as if they didn’t see him, hadn’t heard him, as if they were guided missiles set on their course. They kept coming. Savich understood the adrenaline rush, knew their training had hardwired them not to stop until they got to Kara Moody. It was Luke Palmer, twenty-year veteran, a man he’d met a couple of years before at the gym, a man he knew was scary good at his job. Savich looked over at Mayer, a man who relied on intimidation to get his way, a man who liked to enforce rules but only if they didn’t apply to him. He’d always disliked Savich, called him a glory hound to his face and who knew what else behind his back. What would Mayer call him now? Savich didn’t care. He turned back into the house. He’d deal with Mayer later. He saw Luke and his SWAT team had already secured the man’s rifle and clamped his wrists in front of him with flex-cuffs, even though he was unconscious. Savich supposed the bullet that had grazed his head had knocked him out. He hoped there was no more serious damage. A team member began applying pressure to the shoulder wound and another pressed a bandage against the man’s head. The bullet wound in his shoulder looked to be through and through, hopefully not too serious. Savich went to Kara Moody. A Metro officer was cutting the duct tape from around her ankles and wrists with a pocket knife. She gasped in pain when her wrists were freed. The officer gently pulled her arms back in front of her and began rubbing her wrists. Savich saw the living room had filled with cops, most of them shooting looks at him. He turned back to Kara. “He seemed to be.” He noticed how hard she must have pulled against the duct tape that bound her ankles and wrists, hard enough to leave angry furrows. “Now you need to get back to thinking about yourself and your baby. There’s nothing more to be afraid of. The police will find out who he is and why he came here to you.” Savich hoped that would be true, that Mayer would chase it down. “How does he look?” Savich asked, nodding toward the young man being loaded onto a gurney. “The shoulder doesn’t look bad. The bullet tore through fat and muscle and exited. There’s always a lot of bleeding from scalp wounds, but his skull seems intact. We don’t know why he’s unconscious, though. We need to get him to a CT scanner right away.” He gave Savich a salute. “He was either very lucky or that was good shooting,” and he ran after the departing gurney. Savich imagined hurling Mayer through the window, watching him land on his face in the rosebushes. But that wouldn’t do. Savich turned his back on Mayer and helped Kara Moody stand up. She sagged against him, and he held her up, began rubbing her back. Her belly was as big as Sherlock’s had been right before Sean was born. He realized he’d rubbed Sherlock’s back just that way. Savich thought that sounded good, even righteous. 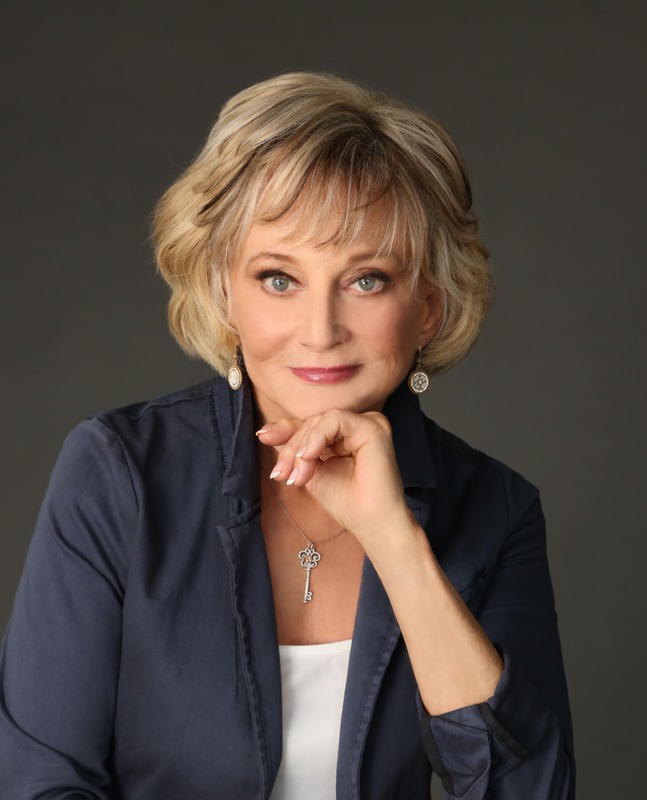 Catherine Coulter is the #1 New York Times bestselling author of eighty-five novels, including the FBI Thriller series and The Brit in the FBI international thriller series, co-written with J.T. Ellison. Coulter lives in Sausalito, California, with her Übermensch husband and their two noble cats, Peyton and Eli. You can reach her at ReadMoi@gmail.com or visit Facebook.com/CatherineCoulterBooks.